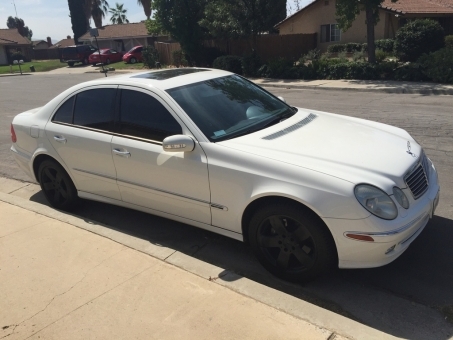 2003 Mercedes-Benz E-Class E500! Runs Like New ! 5.0 Motor V8 SUPER CHARGED ENGINE! 140k miles All Leather Interior NO Rips Or Tears 6 Cd Changer Phone Integrated Via Bluetooth 10 Speakers Surround System Brand New Tires Tags Up To Date Semi Automatic Transmission!